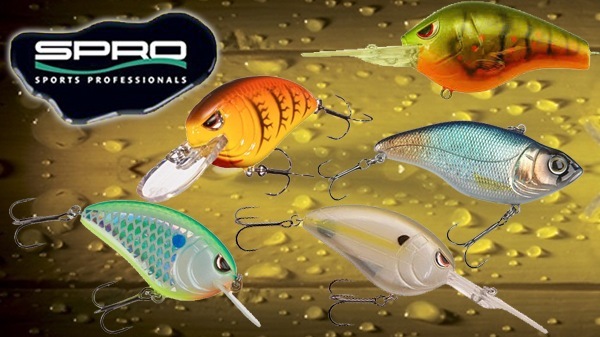 Post subject: Wired2Fish and Spro Giveaway! Enter for a chance to win an assortment of crankbaits from Tinboats Sponsor, Wired2Fish along with SPRO. Hot weather, warm water temps, and a crankbait just seem to go together and the entire water column becomes available as baitfish are on the move. One day the fish will be deep and the next day they are shallow. Having the best arsenal of crankbaits in your fishing tool box makes the job easier and the puzzle easier to figure out. SPRO and its pros have developed a killer assortment of crankbaits that cover the water column from top to bottom and in our latest giveaway we want to give you a chance to have an assortment that will help them catch more fish. Our buddy Syd Rives at SPRO will be picking their best colors for you. This giveaway ends August 17th, 2016. 5 winners. Good luck! You may now enter once per day per email address!